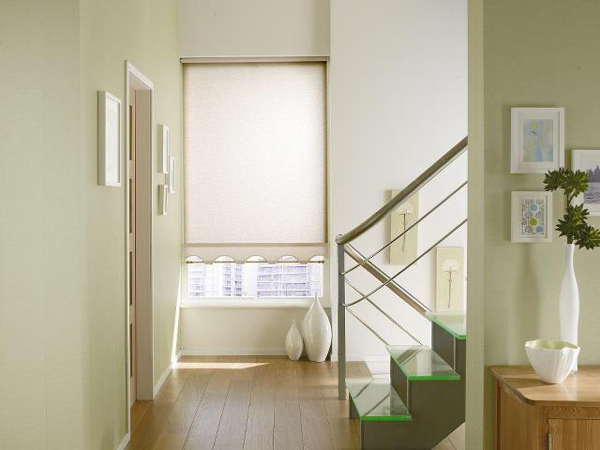 Blinds and shades are quite practical when it comes to window treatments. They stay away from floors and children and pets have more difficulty reaching them. Their maintenance is also pretty easy as you just have to vacuum them regularly when cleaning the house. It helps keep dust away and blinds clean. However, once in a while shades or blinds may need a more thorough cleaning. Wood is very sensitive to water so make sure to dust your natural blinds regularly with soft wash cloth. Use only special detergents and cleaning products recommended by manufacturer for wooden blinds to avoid damage. Metal blinds are easy to clean but also be careful with water and vacuum them regularly using brush attachment. Make sure to wipe them dry when using water and mild detergents to clean blinds. Plastic blinds are easy to clean. Vacuum or dust them, clean with glove or a brush. If dust settled in use damp cloth and some detergent or dish soap to remove dirt from the plastic blinds. Fabric blinds can be harder to maintain and clean as fabrics can absorb stains and dirt. Be sure to vacuum them often, to remove the dust and keep it from settling into the fabric. If your blinds got stained try to remove the stain immediately by washing it away with mild/clothes detergent or some ammonia (for stubborn stains) using a wash cloth. If your fabric blinds need a more thorough cleaning dip them into a tub of warm soapy water (check with the manufacturer for instructions on your blinds). Let them soak if they are especially dirty. If you cannot take them off or dip them into water use a tray ti catch dripping water when cleaning your shades or blinds.